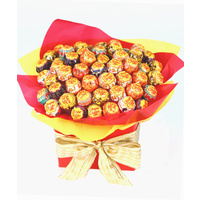 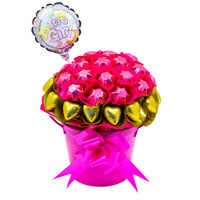 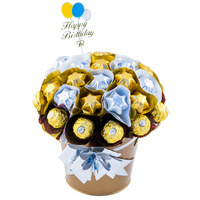 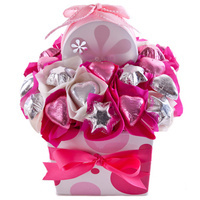 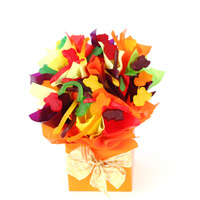 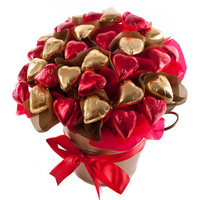 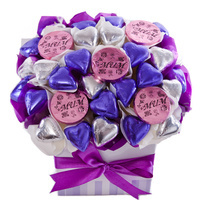 Send get well wishes with this chocolate bouquet! 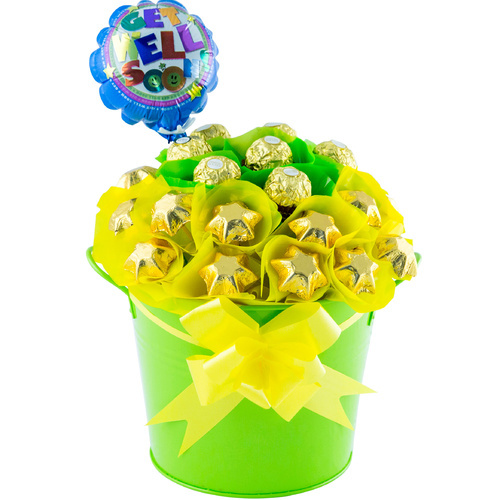 Send the perfect get well hamper to brighten someones day! 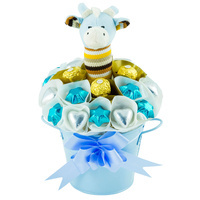 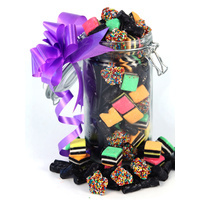 Bright & cheery and full of yummy chocolates to ensure a smile is made! 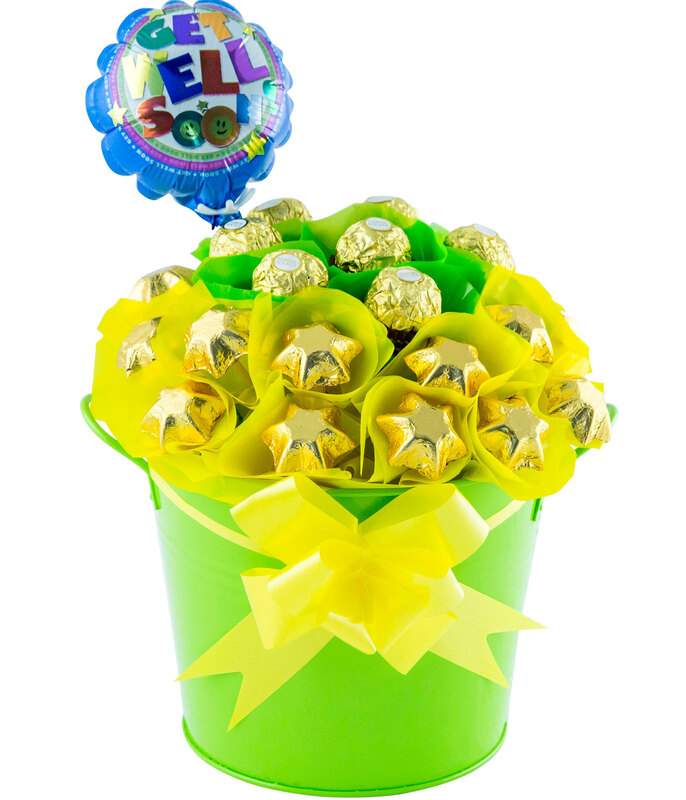 Presented in a bright bucket with attached gift card & ribbon.